FK talks to Brisbane based designer Liana Kabel about her jewellery label. Tell us all about your designs. 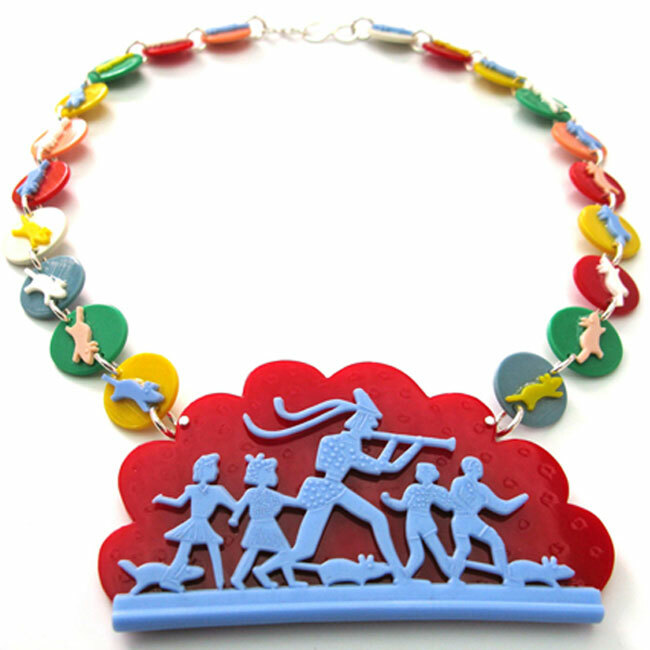 Brightly coloured quirky plastic jewellery would pretty much sum up the bulk of my designs. I often incorporate recycled and vintage materials. 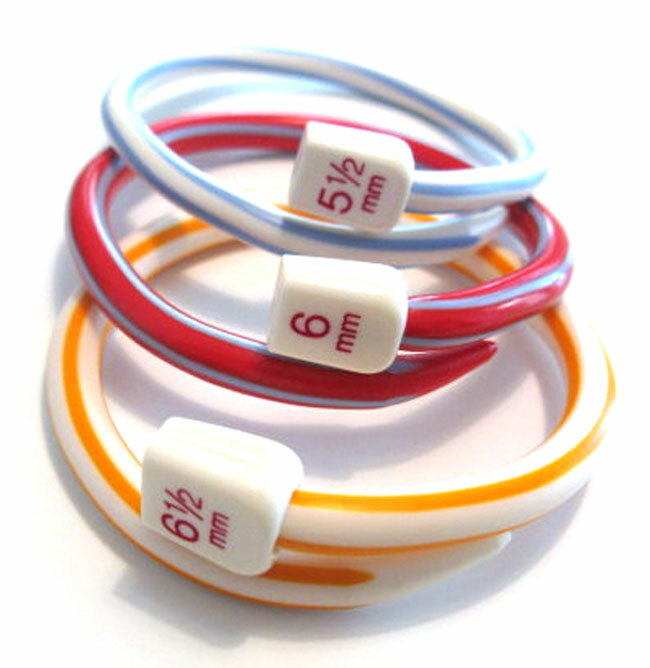 For example, I make bangles from knitting needles, brooches from tape measure, and earrings from Tupperware. Photography, painting, ceramics, and silversmithing, are some of the areas I’ve studied. I also have an English/Theatre degree from UNSW. Most of my working life was spent running art and craft groups in hospitals, art galleries, and in schools. But it wasn’t long until I wanted to work for myself. Before I made jewellery full time, and before moving to Brisbane, I made paper mache clocks and other home wares. I sold these at The Rock’s Markets for several years. Where did your inspiration to design jewellery come from? My father was a jeweller. Actual a number of my relatives were in the jewellery business. I guess I grew up with it. Many school holidays were spent at my father’s shop, sorting through findings and helping to make brooches. Although I never would have guessed that I would end up a jeweller myself. When I was studying ceramics at South Bank Tafe, about six years ago, I found myself making smaller and smaller pieces. I soon realized these would look terrific worn. 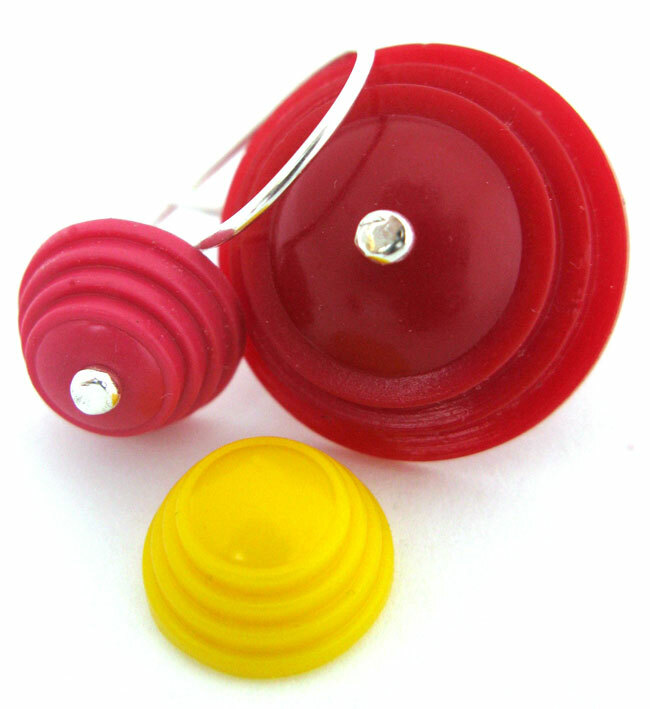 This ceramic jewellery was the first jewellery I made, and I’ve been dedicated solely to making jewellery ever since. Describe your creative process and how you come up with your ideas. Ideas tend to spring from the materials themselves. I’m forever hunting around for interesting bits and pieces. I just tend to collect things that I like. 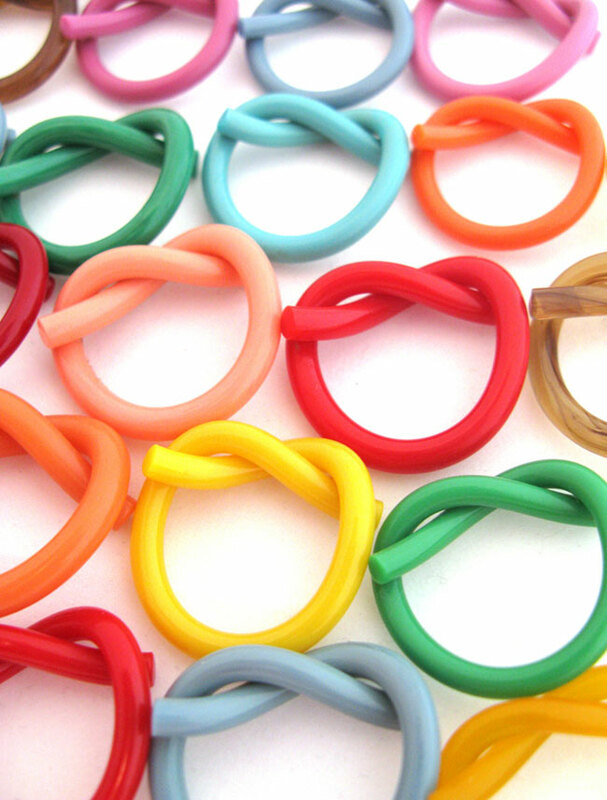 They do tend to be colourful plastic things. 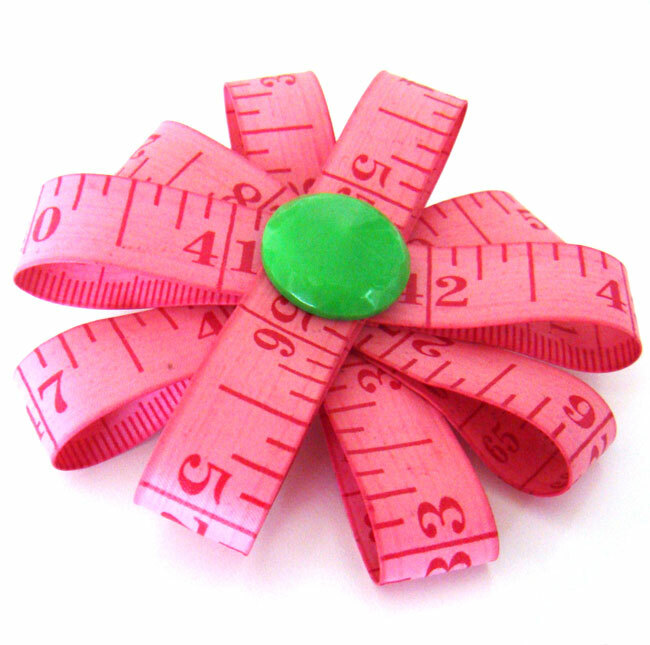 These things often end up in my jewellery designs somewhere down the track. 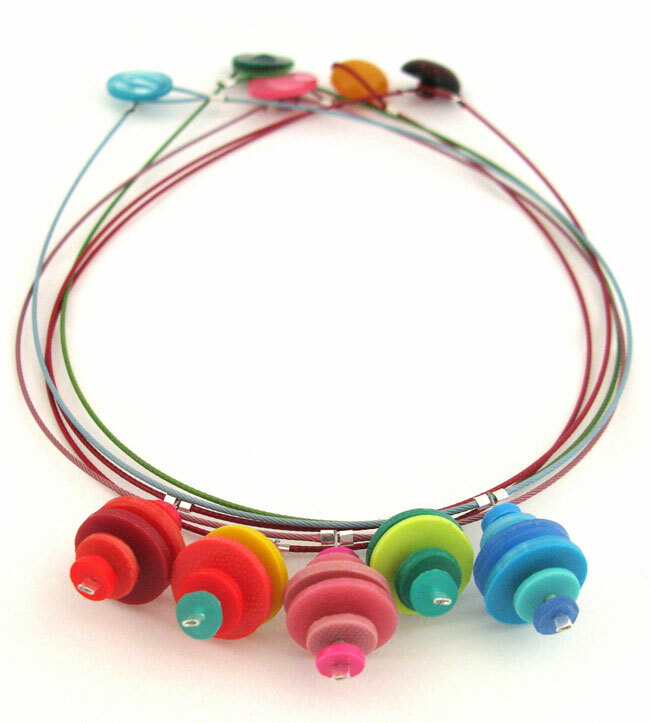 I had a collection of gorgeous plastic vintage knitting needles for a couple of years before I thought of making bangles from them. After I have a material I want to use, and an idea of what I would like to make from it, I research and experiment a lot until I get it right. Where would you like to see your designs in the future? Seeing my designs on the catwalk would be great. Seeing my designs in more magazines would be fantastic. Seeing my designs in more galleries/stores worldwide would be terrific. Mostly I would like to see my designs on more real people. It is such a thrill to see people passing me on the street wearing my designs. More of that please. Learning how capable I am. Running your own business means you are always coming up against new challenges. With overcoming each new, often scary challenge, comes a sense of achievement. This leads to a realization that I can do something that I hadn’t imagined that I could. This then makes the inevitable next new challenge a little easier, and a little less scary.